"Best Dolphin & Turtle Encounter"
If you are looking for the island’s best dolphin and turtle encounter tour, Z TOURZ is Kaua‘i’s premier snorkel adventure! Go beyond the beach and you’ll experience fun and plenty of Aloha spirit on your guided, personalized Na Pali or South Shore tour. The tours offer snorkel locations where you will see the gentle Green Sea turtles, Spinner dolphins and reefs teeming with exotic Hawaiian fish. During whale season, you can experience Humpback whales. Your eco-friendly tour includes all gear, high quality wetsuits (seasonal), top of the line snorkel gear, lunch, beverages and a smooth comfortable ride on a custom built U.S. Coast Guard approved Zodiac. 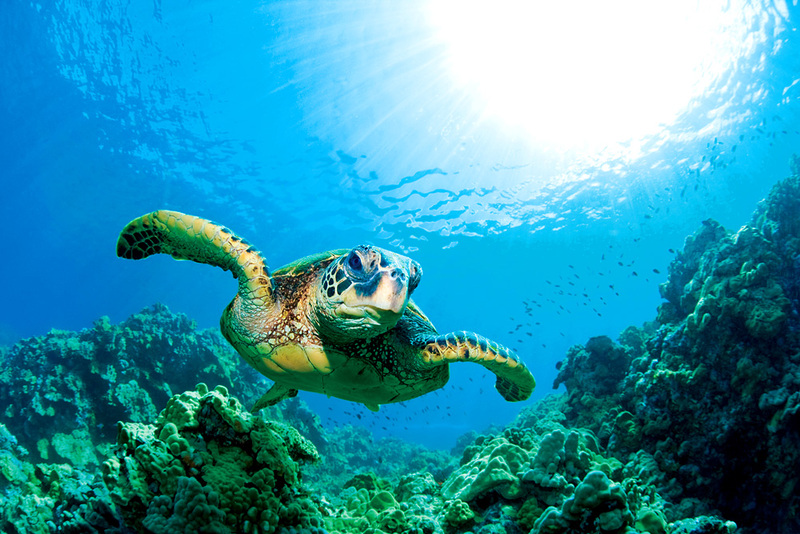 Learn about Kaua‘i’s marine environment, and you’ll be pleased to know that a portion of the profits is donated to ocean and marine conservation. Beginners and families welcome!